Yaka mein is a dish with a colorful history that may not represent New Orleans, but it certainly celebrates the culinary mish-mash found in the city. This particular yaka mein is from Manchu under I-10 in New Orleans. 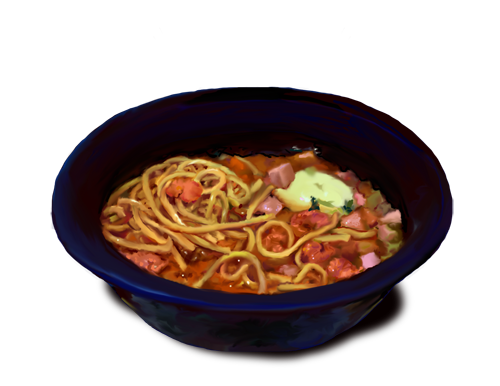 It contained spaghetti noodles, cubed ham, tiny shrimp, green onions, and a hard-boiled egg.